Sorry for the crappy cell phone shots. I was running to a meeting. But I had to do a double take on this thing. 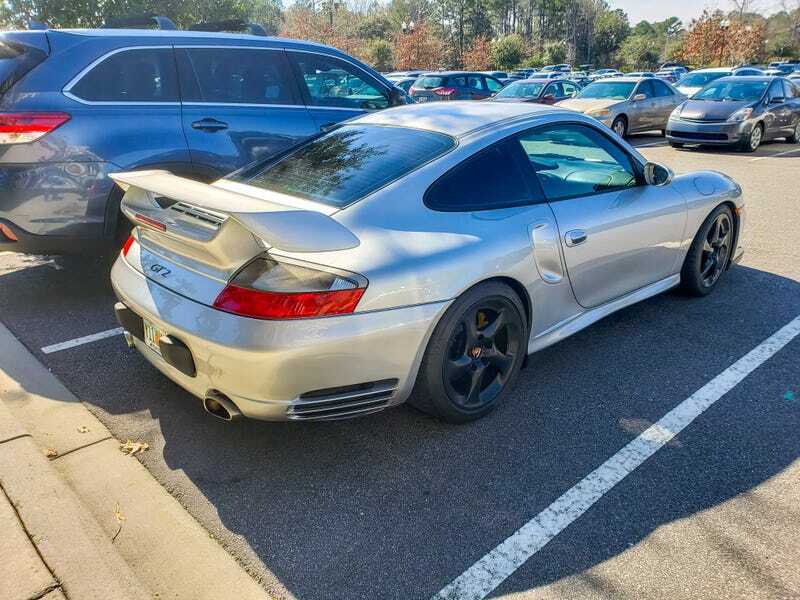 I thought it was just a Carrera with the aero kit at first (because the idea of a GT2 being in my office parking was the last thought in my mind). But nope. This appears to be the real deal. I really need to find out who owns this thing.